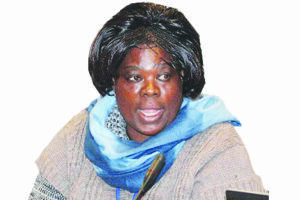 Patriotic Front’s Jean Kapata working with Zambia Police officers have removed all NDC polling agents from the polling station at Kalulu Primary school. All NDC polling agents have been asked to stay outside the RED/WHITE ribbon. The scheme is to allow the Patriotic Front to sneak in pre-marked ballot papers. LUANSHYA IS A REVOLUTIONARY TOWN AND WHAT HAS HAPPENED IS A BIG SIGNAL FOR THE COPPERBELT, ALL WHAT NEEDS TO BE DONE NOW IS TO PUT THE NDC HOUSE IN ORDER, LET US RESOLVE THE IN HOUSE DIFFERENCES AND FORGE AHEAD.